Dalkey Archive Press, 9781564780737, 210pp. This inventive first novel deflates the same myths of rock and roll that it glorifies in a vivid exploration of pop culture and the shattered society that emerged from the 1980s. Hi-Fi, a third-rate New York bar band, plays another in a desultory series of low-paying gigs as Reagan's inaugural speech drones from a TV in the background. Equipment falters, band members flex their egos, and the regular crowd shifts from boredom to borderline violence. What begins as an inauspicious account of a typical evening at a nightclub soon gives way to a stupefying catalog of trivia about Hi-Fi, the band with the "suburb sound and the suburb feel. Christopher Sorrentino (born May 20, 1963) is an American novelist and short story writer of Puerto Rican descent. He is the son of novelist Gilbert Sorrentino and Victoria Ortiz. His first published novel, "Sound on Sound" (1995), draws upon innovations pioneered in the work of his father, but also contains echoes of many other modernist and postmodernist writers. 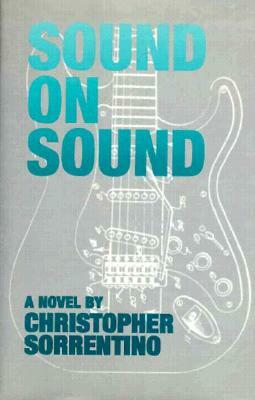 The book is structured according to the format of a multitrack recording session, with corresponding section titles ("Secondary Percussion," "Vocals," "Playback," and so forth).His second novel, "Trance" (2005), an epic fictional treatment of the Patty Hearst saga, used many of the same experimental techniques as "Sound on Sound," but, according to Sorrentino, incorporated them more carefully and subtly into the text. The book was widely praised for its lush descriptions, riveting characterizations and dialogue, imaginative departures, and attention to period detail. "Trance" ended up on several reviewers' "best" lists, was named a finalist for the 2005 National Book Award for Fiction, and was longlisted for the 2007 International IMPAC Dublin Literary Award. In 2009, "Trance" was named one of the "61 Essential Postmodern Reads" by the Los Angeles Times.